Discover how to get the best results from running in the stamina zone – what we call the Faster-Longer Zone. Spending time in this zone raises your ‘lactate threshold’. 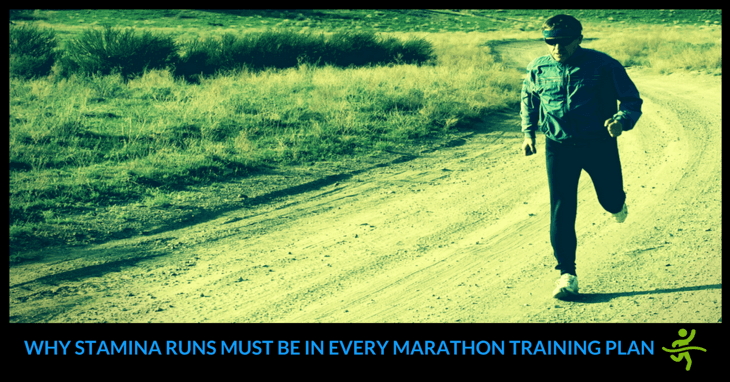 This is a major predictor of marathon success! Dave is offering a strictly limited number of FREE Personal Strategy Session slots to help you break through your biggest time barrier. Simply enter FREE in the coupon code field, click the Apply button and then complete your booking. Book your 30-minute, one-on-one video call now with Dave before your place is taken! Mark: We’re now moving up the hardness scale. Which is primarily working on stamina. And what I would call this is medium-hard. A lot of people in running circles like to call the sessions in this zone ‘comfortably-hard’ running. Mark: Where in your training history would you do this? But then it becomes more formalised into what are popularly called tempo runs as you get into the marathon-specific zone. Because this is where I would say you’re responding to questions rather than having conversations. It’s either responses or short sentences. Mark: So this is now the time as I said before where you are happy for the other person to take over the conversation? Dave: Yes, you’ve hit it now! Mark: Yes and no answers? Or aren’t we quite there yet? Dave: Not quite. I think you’re like most runners. Impatient to be running faster! It’s actually a very pleasurable zone to be to be running in when you’ve got more experience. Even in the way you think because you can become quite mindful and in the zone. Mark: Yeah it sounds really good. Dave: We described in the last zone how the longer zone literally helps you run longer and longer. This one is a bit more about running faster for longer which is effectively what stamina is. But I will spell it out for anyone not familiar with the term. By changing the pH and making it a lot more acidic. And the threshold for this occurs in this zone. By working in this zone, you start raising the threshold so you’re able to run increasingly faster. Without getting these inhibitory changes in your muscle blood pH. Mark: Physiologically then what’s happening in the body as that threshold starts to go up? What aren’t you having to deal with? And it’s harder and harder to use fats for fuel and do all of that easier running that we talked about earlier. So your body is under a little more stress. They all go up as you start exceeding this threshold. Are you then conscious of the fact that you might be breathing better or more deeply? And that your lung capacity has increased? And your heart muscles are working a lot more efficiently? What will be going on in the body? Because you’ve now developed this aspect of your training…. Because you’re not in that zone where you’re working harder any more. Mark: So again your body condition is improving all the time. Mark: So are there any more benefits then? Dave: Yeah. It’s a real running skill to be able to have more control when you’re training. You get into this rhythm where you actually learn how to control your running in such a way that is highly beneficial when you get to the marathon itself. It’s all about controlled pacing. But faster running and getting into that essential rhythm. Is these sessions can provide a good return on your investment because they can be quite short. Mark: Excellent. You’ve been through a lot of information. What are the main takeaways people should be getting. You can do them on a canal towpath, or a flat piece of road, or even park land. But what I would say is you want to have good conditions. You don’t want to be battling a headwind or anything like that, because you want to have nice controlled conditions for these sessions to get the most out of them. Please leave any comments below on your experiences with stamina zone running.